To the St Johns Ambulance Man who said to me “It’s a run not a walk” at Virgin Money London Marathon on Sunday, I would like to say a few words. Firstly thank you for being there on the side lines on Sunday to help my fellow runners when they needed assistance. From what I could see many, many runners required medical help due to the record breaking temperatures. And this is partly why I wanted to write to you. 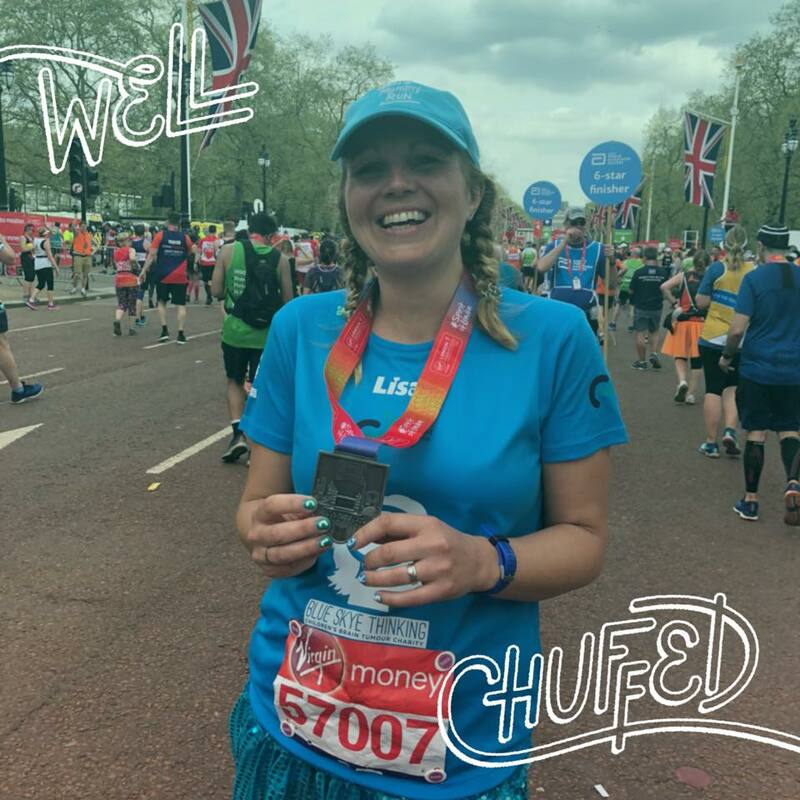 London Marathon 2018 was my third and final major marathon. I stood on that start line on Sunday feeling more nervous than I ever had for a race before. I had picked up a knee injury during training, which I knew was likely to affect my ability to run the whole 26.2 mile course. It was also predicted to be the hottest marathon on record – which of course, it turned out to be. Like most other runners on the day, my training had not taken place in searing heat. In fact, most of it had taken place on the treadmill due to the harsh winter weather conditions effecting my asthma. Not ideal as I’m sure a medically trained man like yourself would agree. I found it incredibly frustrating on Sunday to walk. I had put in six months of training (since completing Berlin marathon in September 2017 – without walking I may add). Ran over 500 miles. Sacrificed nights out with my friends. Watched my diet. Done extra strength training exercises. Driven my husband mad with my excessive tiredness and mood swings. Read every training plan, article on running a marathon, nutrition for marathon training – if I thought it would help me across that finish line down The Mall, I read/did it. I know I’m not alone. I’m pretty sure every person who lined up at the start, did the same. During my training, I had also set up a running group at my son’s school, completed a 261 fearless coaches course and launched my 261 Fearless running club in Bicester to encourage people to take up running. I know the power running has. I’m pretty sure when I passed you on Sunday you were probably trying to motivate me to run. In all honesty I found your words amusing. But they have stuck with me. If you had said these words to someone who was struggling to complete their first marathon, I suspect they would have felt very hurtful words and made them feel inadequate. You see, there is a fair amount of snobbery surrounding running. Some people have the impression if you can’t complete a distance in a certain time, then you’re not trying hard enough. Because of this attitude, so many people either push themselves far too hard to achieve this god like time or don’t even bother trying. I’ve only been running for three years, but in that time I’ve learned a fair bit. I’ve learned time doesn’t matter. You have good days where running feels effortless and you have bad days where every step feels like you are weighed down. Until you start running, you never know what it is going to be like. Running a marathon is very different too. It is a very long way. One minute you can feel fine, the next you feel awful. I have never seen so many runners needing to take walking breaks in a race before – but I commend those who did. Do you know why? I’ve learned it is important to listen to your body. If you don’t, you can face long term injuries, severe dehydration and even death. The reason I’m writing to you, Mr St John Ambulance Man, is to ask that you think before you speak. Everyone is different. Everyone has their own issues, most of which you cannot see on the outside. It is not fair to judge someone because they are taking a walk break during a race, or is force to walk due to injury. You must be a caring person to do the job you do, so please make sure kindness comes out of your mouth too. I am going to go running on Friday after resting my knee for a few days in Matt Campbell’s memory . I am going to run 3.7 miles to complete the marathon distance for him. I’m sure you’ve heard his story #finishforMatt. He was the Masterchef contestant who so sadly collapsed at 22.5 miles on Sunday and died. If I have to walk, I will walk with pride. It will not make my dedication to Matt any less because of it. Finally, I thought you might like to see a photo of me wearing my medal at the end. Running uphill to 40 -I’ve made it! Wow! I commend him for the job he does but I think his comment was rather rude! I found out I had cancer just after accepting my marathon place. I decided to go ahead and still take part in VLM but training alongside chemo and radiotherapy was awful, and I lined up on Sunday knowing I would not run the whole race. In fact, because of a pulled hamstring at 11 miles plus the awful heat, I walked quite a lot and completed in 6hr 33. Not the time I originally thought I would finish in but who cares?? Well done on your achievement with injury too!! Well done nevertheless – I also walked several parts of the course!